Welcome to Alejandra’s Quilt Studio. On this site you will find the Quilts and patterns I work on, I work on my own patterns and designs. Do you want to make your own quilts using my patterns and following my directions on hand quilting and hand embroidery? Today, internet has become the best tool we can have to share what we love to do, Quilts are my passion, I work everyday on my quilts, it doesn’t matter how big or small they are, but everyday I spend some time working on them. If you are looking for a new pattern to work with, or a new embroidery design for your next project, I can help you to find the one you are looking for. I love to work on my quilts with the traditional quilting methods, one block at the time, most of the time I quilt by hand, and I love to add some hand embroidery to my quilts. I love to spend sometime working on my quilts, I love also every step of this art. If you are looking for some projects and directions to make a quilt in one day, or make a quilt all by machine, then this site is not for you, but you are welcome to browse around and if you find something you like to work on your own quilting methods, you are also welcome to try it out. My name is Alejandra Balanzario, I was born in Mexico City, currently I live in a small an beautiful town in Southern Quebec, Canada. I have been quilting for a few years now, I made my first quilting project around 30 years ago, since that moment I felt in love with the patchwork and Quilts. I have been working on quilts every week, quilts had turn into my main hobby and lifetime passion, I made of quilts my full time job to support my family as a single mother in Mexico City. Theaching how to make quilts, I could raise two of my three children and pay off my house. Quilts had turned into my big company on everyday, I have found a great source of creativity on them. 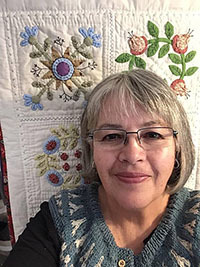 This is not my first Quilting blog, you might know me from my former blogs, this time I hope to do better, here I will keep to share with you my daily quilting adventures and free patterns. – I love to buy cotton fabrics and keep them until I find the right quilt to use them. – I can spend a whole day looking on Pinterest those great new Quilts! – A morning or afternoon spent with quilting friends is always the best time spent! 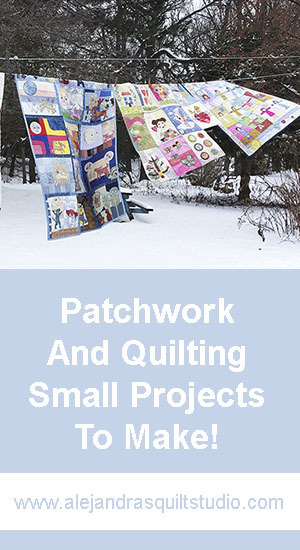 Visit the FREE patterns page where you’ll find over 50 small projects to make with the patchwork! 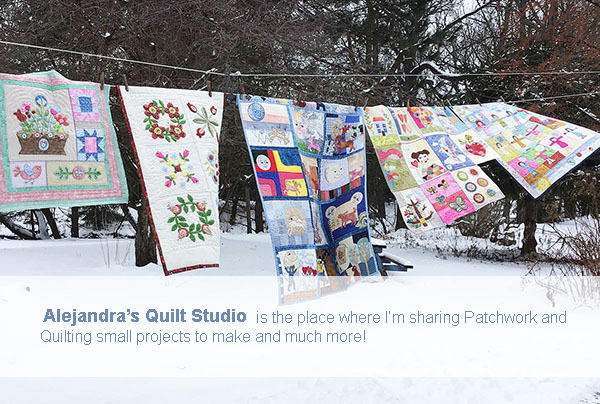 I thank you for being part of my quilting adventures!